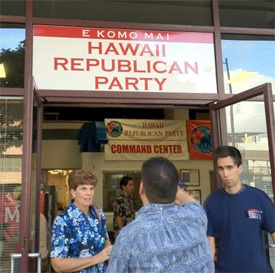 In the wake of the Planned Parenthood video scandal which has consumed the nation and put liberals and Democrats on the highest alert for damage control, HIRA has heard from countless island conservatives and Republicans asking why the Hawaii Republican Party (HRP) has been silent and why it maintains its clearly ineffective strategy of being deferential to Democrats. In one such e-mail to HIRA, party member Barry from Kailua-Kona put it pretty succinctly: "I have zero faith in the Republican Party Leadership and can not see supporting those who have utterly failed in their vision and performance in Hawaii. The Republican Party has become a Bad Joke here in Hawaii and I refuse to devote my time, money or energy to a party who can not get their candidates elected. If you do the same things, with the same leadership, you will have the same results. However, the failed leadership will not relinquish power so count me out because I'm not insane! If I failed so miserably to service my clients, I'd be fired. Now I am firing them! I do not want my name associated with the Hawaii Republican Party." Along these lines, HIRA's sources at HRP headquarters on Kapiolani Boulevard have confirmed that recent 'direct appeals' by party members to party leaders about the need to be outspoken on issues are being routinely ignored . . . ignored to the point that some frustrated social conservatives in Hawaii would even be content with mere crumbs, such as HRP sending a one-time press release about abortion (which the media would surely ignore) or promoting a pro-life rally on the party's Facebook page. Even though such 'crumbs' would probably keep desperate conservatives in line, Hawaii's party leaders believe they have nothing to worry about and will surely blow them off. This explains why replacing Pat Saiki with Fritz Rohlfing has yielded no discernable difference in the liberal direction of HRP. Here at the Hawaii Republican Assembly (HIRA), however, we are determined to help shift public opinion in Hawaii so that pro-life candidates can get elected by a pro-life public and then pro-life policies can be implemented to protect innocent life. PERIOD. MORE BAD NEWS: Our state party isn't just abandoning its 1st amendment right to educate and persuade the voting public about pro-life issues. HRP is also forsaking citizen rights under the 2nd amendment by letting Honolulu politicians and bureaucrats throw a half million dollars in taxpayer funds down the toilet. Yes, according to Hawaii News Now, City leaders (all Democrats, by the way) are refusing to trust the taxpaying public, other government agencies or even HPD's own police officers with the opportunity to purchase 2,300 of the Honolulu Police Department's soon-to-be-retired handguns. The City plans to destroy about 2,300 Smith & Wessons in the next few weeks, including 200 of them that are brand new and still in their boxes. WHY? In a statement, HPD said, "Mayor Caldwell and the Honolulu Police Department agreed that they would not allow the guns to be sold to the general public and end up on the streets of Honolulu. 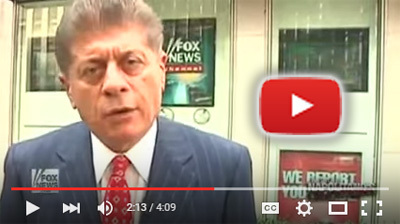 The same goes for selling individual gun parts that could have been used to assemble a gun." That's liberalism run amok right here in the islands. Has the Republican Party of Hawaii even said a peep about this? Of course not. Will sending nicely written letters begging party leaders to do their job by opposing liberal policies and advancing conservative policies help? No way. And here's why. 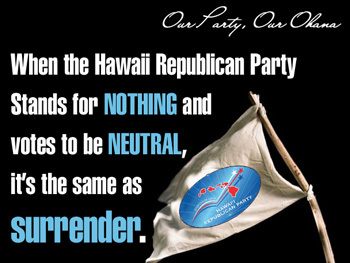 At the end of the day, it's important to remember that the Hawaii Republican Party is officially neutral on all issues and the very people who manipulated party processes to install a neutrality platform and keep HRP away from taking sides on important issues are the very people who still run HRP to this day. 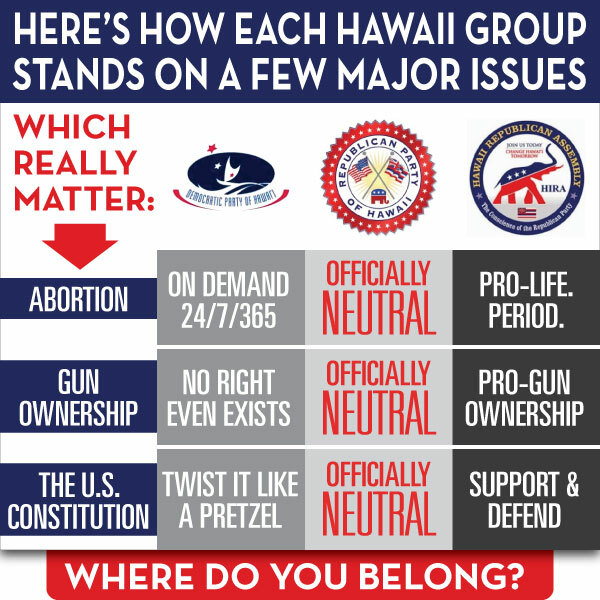 So we need to be realistic that Fritz Rohlfing, Miriam Hellreich and Ted Liu and their willing puppets on the party's executive committee and state committee have zero interest in changing Hawaii whatsoever.
. . . especially for Democrats who can be counted on to oppose the right to life, the right to bear arms and a whole lot more. 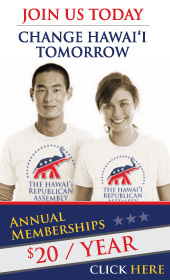 If you are conservative and if you are a Republican, then the Hawaii Republican Assembly (HIRA) is waiting for you with open arms. Together, we will fight Democrats and the harmful liberal agenda. Someday, we'll even get the Republican Party of Hawaii back on track so that Democrats in Hawaii and in Washington, D.C. will have something to worry about instead of celebrate. Please join HIRA today. Annual memberships in HIRA are just $20. Lifetime memberships are $250. And your generous donations are always welcome. EVERY PENNY gets put to use rescuing our party and taking the fight to the Democrats.